Inflation in Zambia fell to 8.1 percent in November from 8.7 percent in October due mainly to a reduction in fuel prices introduced by new President Michael Sata, its statistics agency said on Thursday. A poll of 10 analysts surveyed by Reuters this week said inflation in Africa’s biggest copper producer should average 9 percent in 2011, before slowing to an average of 7.9 percent in 2012. 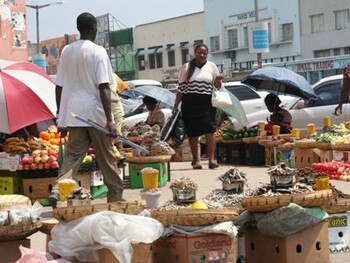 Chibamba Kanyama, a member of the Economic Association of Zambia, said inflation was likely to remain stable in the next few months despite an expected increase in consumption in the final month of the year. “End-year festive demand will have a slight impact but food prices will remain stable owing to a reduction in maize prices,” Kanyama said. Sata’s administration, which came to power at the end of September, unveiled an expansive pro-poor budget earlier this month, although there was no relaxation in monetary policy that has largely kept a lid on prices for the several year.